The Foster Mods are townhouse style living for approximately 180 students. 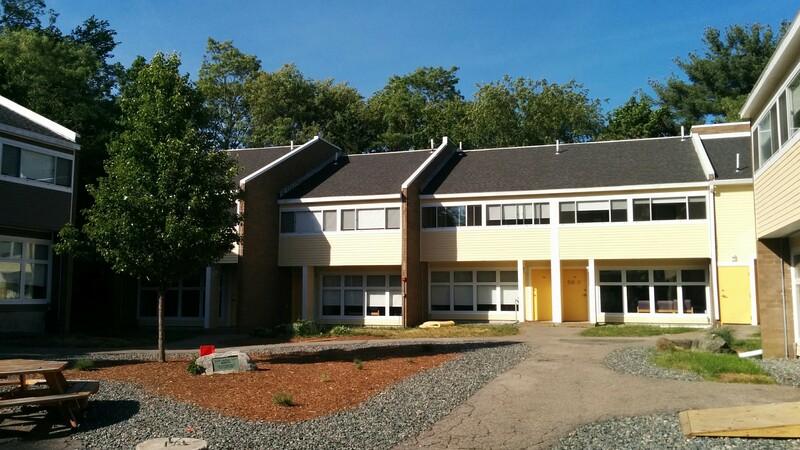 The Foster Mods are located across South Street to provide upper-class students independent living. The Mods are conveniently located next to the Gosman Sports Center and student parking lot. The Foster Mods have four Community Advisors (CAs) who engage residents in establishing active living and learning environments where each individual is invested in promoting the success and safety of all members of the community. The CAs create and execute programs, address student concerns, and support the community when issues arise. The Foster Mods share an Area Coordinator (AC), a live-in full time professional staff member with an advanced degree, with the Charles River Apartments. The AC supervises the CAs, manages the residence halls, and holds regular office hours in the community office. The Foster Mods are comprised of four- and six-person town houses designed for independent living. Each Mod includes a kitchen, dining room, living room, and one or two bathrooms. All bedrooms are single occupancy, and these bedrooms may fall on the same floor or different floors depending on the layout of the Mod. Single rooms within these apartments range from 95 square feet to 115 square feet. Students are responsible for cleaning their own kitchens, bathrooms, and shared living areas. The Foster Mods are split into two areas, referred to as Upper Mods and Lower Mods. Each of these areas consists of 18 units surrounding an open space often used for programming. There is a laundry room in each of these two areas. The Foster Mods also have a covered bike rack and a nearby parking lot.